Looking for a London Museums Guide that you can instantly download right now? Want to find out where London's museums are and what other great London attractions and things to do are nearby? Want easy to print, pull-out sections to take with you on your days out around London? Looking for an area by area London tourist map pinpointing the London museums? Congratulations you have found just what you are looking for. The Love London Museums Guide is my comprehensive, easy to read, easy to print, easy to take with you, instantly downloadable guide to London's Museums and a whole lot more. You won't find anything else on the Internet like this guide. It is totally unique and designed to help the London tourist discover not only London's fantastic collection of diverse and fascinating world famous museums. But also other great places to visit nearby, maps to help guide you around and where to find the nearest tube stations. What's Inside "The Guide To London's Museums"? 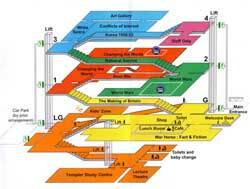 One of the best tools for finding your way around museums and London attractions are of course maps or floor plans. But I know just how much time you can waste searching around the internet for these to download, especially when your on holiday and don't want to waste time. So I decided to compile a handy guide to all the major museums maps and floor plans for you as an extra free bonus for you with "The Love London museums Guide". Easy links to floor plans like this which will help you find your way round. I have checked the Internet and I have not found another instantly downloadable London Museums Guide like this. 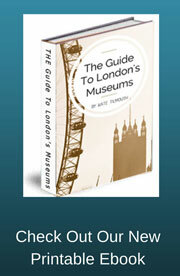 This London museums guide is certainly one of a kind and I have put it together with you, a visitor to London in mind. What other things are there to do near the British Museum? What tube stations are close to the big three museums in Kensington? Where can I find a museums about sport in London? How much are the entrance fees to museums and where can I get a discount? All of these and many more questions like these are answered in my downloadable guide. I have taken all the hard work out for you by pulling all the information together for you in one hand place. You can decide which parts you want to print out and which parts of the guide you want to use to find out more in-depth information about the museums. There are live links which run all through the guide which will take you directly to the museums own web pages. No hunting around the internet for them for you. 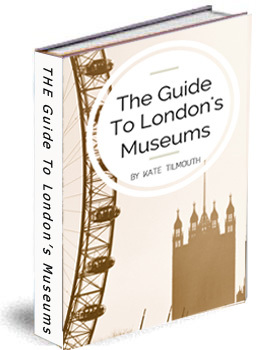 Why You Should Consider This London Museums Guide Ebook? It is an instant downloadable guide, no waiting for it to arrive in the post. No need to carry a heavy book around London with you. Discover museums you may not have heard of before. There are many fantastic museums in London often left off the usual tourist guides. For me these are often the best one's to visit any way, less busy and far more original. The targeted maps are designed to help you discover the different areas of London. You can share the guide and print off copies for friends or others in your party. Discounts and special offers are directly linked, so that you can easily find the best prices to pay. No, this Guide has been totally put together by myself, all the information is up to date and correct. But I will tell you that all of this information is available online and of course you are free to discover it for yourself. However I have taken the hard work out for you and organised all this information for you so that it is available at your finger tips right now. In an easy to read and structured way so that you will be able to enjoy your trip to London and not worry about missing any hidden gems. 1. Pay securely through Paypal. 2. Once you have paid you will be redirected to a Thank you page where you can down load both the "The Guide To London's Museums" and the Free Bonus Guide. 3. If you have any problems, simply Contact me and I will get back to ASAP. 4. The guide and free ebook are both in PDF file format. If your computer doesn't have the Adobe Reader software, you can easily install it for free.